Considering retirement? 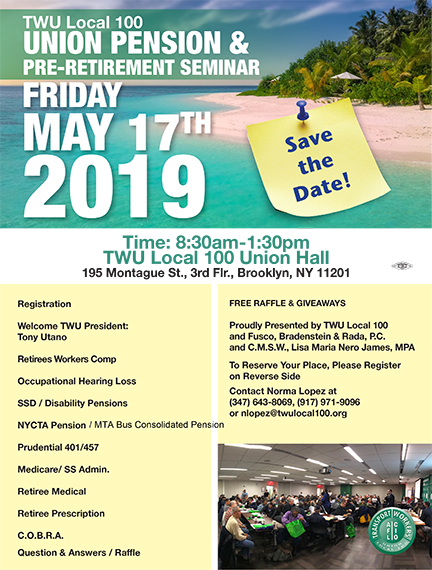 Join your union brothers and sisters as we hear about what the expect and how to preserve our rights and take advantage of retirement benefits. With a full list of experts on pensions, disability, and health plans, we will answer all your questions. The event is at the Union Hall on Friday, May 17th. Read more about it here. Download the flyer and fax back or return to your rep to secure your place.